Musical options range from individual musicians to a String Duo, Trio or Quartet, to a Jazz group, Band, or an Orchestra. You can research these options in many different places, or use the consolidated services of an organization like TorMusic Entertainment to select, coordinate and supervise your musical needs. Some companies send out sample CD’s or tapes, but don’t even list the musician’s names… At TorMusic, we invite you to a Free Interview & Demonstration of String Ensembles. Here you can meet the leader of a particular ensemble and hear them perform. When you schedule the Interview, we will hold availability of that ensemble for your wedding date and list the ensemble leader’s name on your booking contract; guaranteeing the leader’s participation in your event. Many wedding planners provide great selections of possible wedding music. Often, they neglect to inform you that it would take 10 different ensembles of different sizes to perform these selections. So, consulting with a Musical Leader, who knows what arrangements are available for different sized ensembles is very helpful. Consider that musicians own and operate TorMusic Entertainment. Each year we get last minute calls from panicked brides who have just been informed that musicians are no longer available. Don’t consider it booked until you have a signed contract. At TorMusic we provide a single contract which lists the Musical Leader’s name, date & time of services, costs of overtime, conditions and music to be performed. You deal with TorMusic only, who books and pays the musicians, and have peace of mind in knowing that in the unlikely event that a musician is incapacitated, you will not be abandoned. Deal with a supplier who’s interested in discussing the ‘details’. At TorMusic we provide on-going communication and advice to solve practical problems relating to our musical services at your event. We have experience in event co-ordination, not just music. You and your guests will be able to tell the difference between professionals and amateurs. So choose a reputable and professional ensemble and ask about credentials. 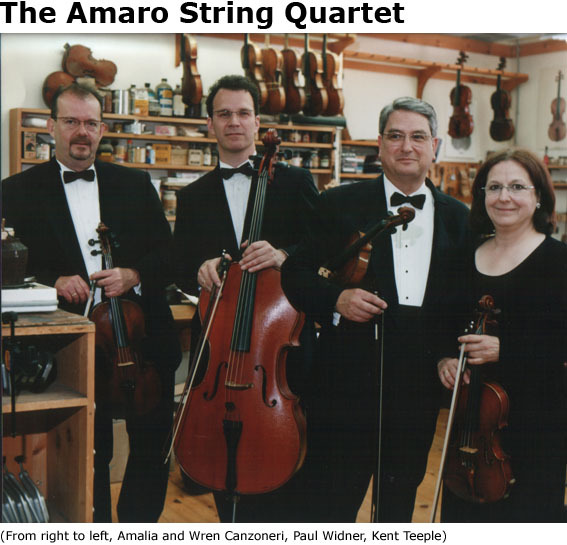 TorMusic’s string musicians are among the finest in Toronto, often drawn from the Toronto Symphony. And our Jazz and Band ensembles are all excellent and experienced musicians. Choose musicians who have experience with weddings and enjoy doing them. They bring with them the professionalism to ensure the success of your event. We once performed at an event where the wedding coordinator mistakenly locked herself in the rectory, while the bride waited for the musical processional to begin. Experience dictated that we should begin the musical procession, even without the wedding consultant’s cue. You often get what you pay for. Please consider the following for evaluating professional musical service fees. Most weddings occur on Saturdays, in the spring and summer months. Musical ensembles who specialize in Weddings, have to charge a higher than average hourly fee to make a living. Often, professional musicians provide extra services for free, such as arranging music, meeting with you, booking other musicians, etc. In addition to the playing time, travel time to and from your wedding venue needs to be included in your estimation of reasonable fees. Students or low cost professionals are rarely well rehearsed and often are not used to performing with each other. They often forgo the need of a contract as well.